Don’t forget to tag us in your photos or post images to our Facebook account of your buccaneer experiences. Let the world know about how you spent your time in Puerto Vallarta, sharing your reviews with your friends, family and followers. 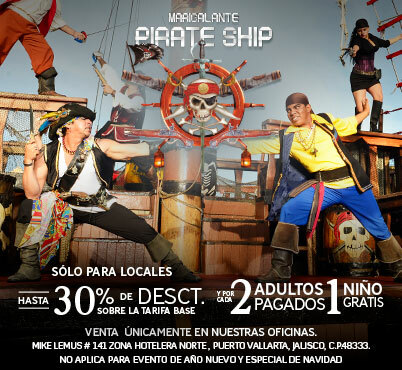 Here you can browse Instagram pictures and TripAdvisor reviews for the Marigalante Pirate Ship Show as well as watch real life testimonials from happy pirate-wannabes that have joined us on our replica sixteenth century pirate ship in Puerto Vallarta.